With $18 million in funding from Defy Ventures, Khosla Ventures, Menlo Ventures, Sherpa Capital and others, Owl has launched its always-connected, LTE security camera for your car. Co-founded by Andy Hodge, a former product lead at Apple and executive at Dropcam, and Microsoft HoloLens development lead Nathan Ackerman, Owl is designed to give drivers peace of mind with an always-on dashboard camera for their cars. The two-way camera plugs into your car’s on-board diagnostics port (Every car built after 1996 has one), and takes just a few minutes to set up. Once it’s hooked up, you can access your car’s camera anytime via the Owl mobile app. Owl is always on, which means it’s able to capture car crashes, break-ins and people dinging your car in the parking lot. 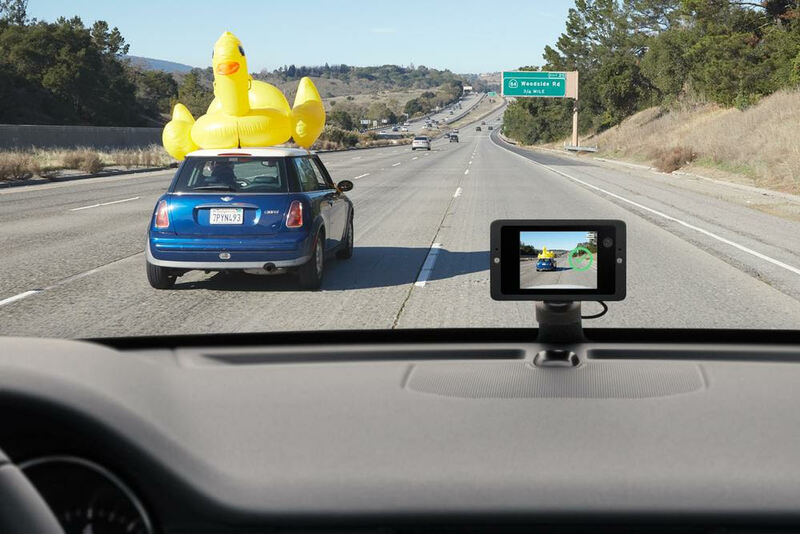 If Owl detects a car accident, it automatically saves the video to your phone, including the 10 seconds before and after the accident. Owl will also capture traffic stops with police. On an average day, police officers make more than 50,000 traffic stops, according to the Stanford Open Policing Project. Last year, for example, 89 people were killed by the police after they were stopped for a traffic violation, according to Mapping Police Violence’s 2017 report. “Our view, and especially with the stuff that was happening last year, was video that’s on and video that’s known to be true should put everyone on their best behavior,” Hodge said. For 24 hours, you can view your driving and any other incidents that happened during the day. You can also, of course, save footage to your phone so you can watch it after 24 hours. Owl is also voice-controlled, so if you see something, like a duck on top of a car or a beautiful scene, you can say “Ok presto” to automatically save the clip to your phone for sharing later. Owl will retail for $299, with LTE service offered at $10 per month. At launch, Owl will only be available as a bundle for $349, which includes one year of the LTE service.